The koch (Russian: коч, IPA: [ˈkotɕ] ( listen)) was a special type of small one or two mast wooden sailing ships designed and used in Russia for transpolar voyages in ice conditions of the Arctic seas, popular among the Pomors. Because of its additional skin-planking (called kotsa) and Arctic design of the body and the rudder, it could sail without being damaged in the waters full of ice blocks and ice floes. The koch was the unique ship of this class for several centuries. The development of koch began in the 11th century, when Russians started settling of the White Sea shores. This type of ship was in wide use during the heyday of Russian polar navigation in the 15th and 16th centuries. There is documentary proof that in those days the private Russian civil fleet in the Arctic seas numbered up to 7,400 small ships in a single year. In the 17th century, kochs were widely used on Siberian rivers during the Russian exploration and conquest of Siberia and the Far East. In 1715, during the Great Northern War, the Russian Arctic shipbuilding and navigation were undermined by the ukase (decree) of Tsar Peter the Great. According to the ukase, only novomanerniye ("new-mannered") vessels could be built, that is the civil ships, which could also be used for military purposes. The koch with its special anti-icebound features did not suit this aim. In the 19th century the anti-ice floe protective features of koch were adopted to the first modern icebreakers, and in fact koch may be regarded as the most ancient form of icebreaker, though wooden and relatively small. The koches were traditionally built shell-first, with overlapping planks, following the once-widespread Northern European clinker shipbuilding tradition. Iron rivets and brackets, as long as shrub branches or tree roots, were used to fasten the planks to each other. Ribs were inserted into the hull once the shell of planking was assembled. As these ships were in use as late as early 17th century, this may be by far the last use of the clinker technology on large sea-going vessels. They were flat-bottomed, but there is no reliable information whether the bottom was carvel built, as on the cogs, or clinker built, as on Viking ships (the latter is more likely, as the more recent Pomor boats are entirely clinker-built). The keel length of koch was about 10–25 meters (about 30–70 feet). It had 13 combination ribs, each consisting of several details. The keel was also a combination of several parts. Bulkheads divided the body into several cross-section compartments. Each compartment (cherdak) served a specific purpose. There invariably were the fore-part compartment used as the crew's quarters, the stern cabin for the captain, and the cargo hold amidships. The koch had a flat deck. A typical koch carried one square sail on one mast. A distinctive peculiarity of the koch was the relatively big size of its square rudder fin which compensated for the special extra-slim design of the upper part of the rudder. This type of ship had two 70 pounds (32 kg) main anchors and, very often, light anchors. Naval historians[who?] think that the light anchors could have been used for mooring kochs to the edge of the ice fields. 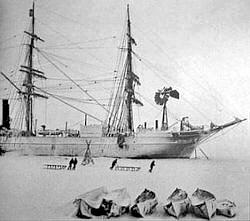 Special Arctic design features included the rounded lines of the ship's body below the water line, an additional belt of ice-floe resistant flush skin-planking (made of oak or larch) along the variable water-line, a false keel for on-ice portage (and for damage prevention from running aground in shallow waters), and the shaft-like upper part and wide lower part (below water-line) of the rudder. Another Arctic feature was the invariable presence aboard any koch of two or more iceboats and of a windlass with anchor rope. Each iceboat had the cargo capacity of 1.5 to 2.0 metric tons (3,300 to 4,400 lb) and was equipped with long runners (5 to 7 m or 16 to 23 ft) for portage on ice. If a koch became trapped in the ice, its rounded bodylines below the water-line would allow for the ship, squeezed by the ice-fields, to be pushed up out of the water and onto the ice with no damage to the body. Besides the anti-icebound equipment, the captains of kochs had the traditional set of navigation instruments, including a sundial and a magnetic compass with floating vetromet ("wind-marker", a wooden 32-point compass rose with 16 major winds). Other tools and means of navigation were the detailed charts and sailing directions, the stars, and the pilot's marks on the familiar shores. There are two main classifications of koch subtypes. The first, a mixed classification, distinguishes between three subtypes of kochs depending on both their place of origin (Siberian and Mangazeyan) and their sea-worthiness (morskiye, that is "seafaring"). The second classification does not pay any attention to minor shipbuilding differences and divides all kochs into two categories according to the main spheres of their maritime operations: river/sea, and morskiye (seafaring) for long-range sea voyages. The following is added from Fisher. He claims that the koch had a square sail and only one mast. The largest koches were 60 feet long and 20 feet wide(sic), with a draft of 5 or 6 feet and a crew of 6 to 12. They could hold up to 40 people or 45 tonnes of cargo. They were oval when viewed from the top or side. The flat or rounded bottom made them maneuverable when dodging ice floes, but probably unstable in a severe storm. The square sail and flat bottom meant that they would not sail well without a following wind. 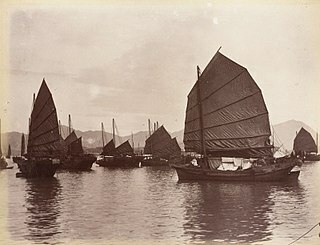 Other boat types used in Siberia: Shitik, Baidarka. ^ Raymond H. Fisher, The Voyage of Semon Dezhnev, The Haklyut Society, 1981. Pomor 'shnyaka' (from ckandinavian 'snekke', 'snekkja') reconstruction. The boat's hull is built in the same manner the Kothes were built. Longships were a type of specialised Viking warships that have a long history in Scandinavia. Their existence being archaeologically proven and documented from at least the fourth century BC. Originally invented and used by the Norsemen for commerce, exploration, and warfare during the Viking Age, many of the longship’s characteristics were adopted by other cultures, like Anglo-Saxons and continued to influence shipbuilding for centuries. The longship's design evolved over many centuries, beginning in the Stone Age with the invention of the umiak and continuing up until the 6th century with clinker-built ships like Nydam and Kvalsund. The longship appeared in its complete form between the 9th and 13th centuries. The character and appearance of these ships have been reflected in Scandinavian boat-building traditions until today. The particular skills and methods employed in making longships are still used worldwide, often with modern adaptations. They were all made out of wood, with cloth sails and had numerous details and carvings on the hull. Drift ice, also called brash ice, is any sea ice other than fast ice, the latter being attached ("fastened") to the shoreline or other fixed objects. Drift ice is carried along by winds and sea currents, hence its name. When drift ice is driven together into a large single mass, it is called pack ice. Wind and currents can pile up that ice to form ridges up to several metres in height. These represent a challenge for icebreakers and offshore structures operating in cold oceans and seas. An ice boat is a boat or purpose-built framework similar in functional design to a sail boat but fitted with skis or runners (skates) and designed to run over ice instead of through (liquid) water. Ice yachting is the sport of sailing and racing iceboats. Sail-able ice is known in the sport as "hard water" versus sailing on liquid or "soft" water. A related sport, land sailing, utilizes a configuration with an iceboat-like fuselage or frame equipped with wheels instead of runners. Iceboats commonly used for racing are usually only for one person, but several classes of two-seat and multiple-seat iceboats are more or less common. On some boats, a "side car" can be fitted to take others along for a ride. Clinker built is a method of boat building where the edges of hull planks overlap each other. Where necessary in larger craft shorter planks can be joined end to end into a longer strake or hull plank. The technique developed in northern Europe and was successfully used by the Anglo-Saxons, Frisians, Scandinavians, and typical for the Hanseatic cog. A contrasting method, where plank edges are butted smoothly seam to seam, is known as carvel construction. Ice yachting is the sport of sailing and racing iceboats, also called ice yachts. A pressure ridge develops in an ice cover as a result of a stress regime established within the plane of the ice. Within sea ice expanses, pressure ridges originate from the interaction between floes, as they collide with each other. Currents and winds are the main driving forces, but the latter are particularly effective when they have a predominant direction. Pressure ridges are made up of angular ice blocks of various sizes that pile up on the floes. The part of the ridge that is above the water surface is known as the sail; that below it as the keel. Pressure ridges are the thickest sea ice features and account for about one-half of the total sea ice volume. Stamukhi are pressure ridges that are grounded and that result from the interaction between fast ice and the drifting pack ice. 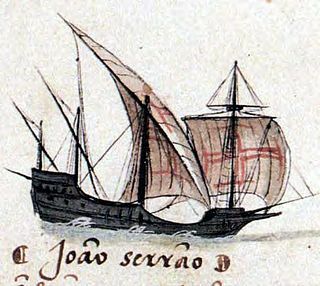 The ships of Medieval Europe were powered by sail or oar, or both. There was a large variety, mostly based on much older conservative designs. Although wider and more frequent communications within Europe meant exposure to a variety of improvements, experimental failures were costly and rarely attempted. Ships in the north were influenced by Viking vessels, while those in the south by classical or Roman vessels. However, there was technological change. The different traditions used different construction methods; clinker in the north, carvel in the south. By the end of the period, carvel construction would come to dominate the building of large ships. The period would also see a shift from the steering oar or side rudder to the stern rudder and the development from single to multi-masted ships. Pilot (Russian: Пайлот was a Russian icebreaker, the world's first steam-powered and metal-ship icebreaker of modern type. Shitik is a small broad-bottomed vessel in which parts of the hull have been sewed with belts or juniper and fir-tree rods called vinya. A hulk was a type of medieval sea craft, a technological predecessor of the carrack and caravel. The hulk appears to have remained a relatively minor type of sailing ship apparently peculiar to the low countries of Europe where it was probably used primarily as a river or canal boat, with limited potential for coastal cruising. The only evidence of hulks that we have are from legal documents and iconography.